Post-Workout Ketone Salts Could Augment Your Gains, New Study Suggests - How Convincing is the Latest Evidence? 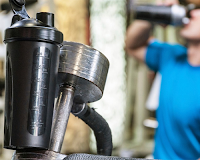 Are the University of Oxford's patented ketone ester supplements really yet another "must have" supplement for your post-workout shake or are the subliminally promised increased gains unlikely, if not impossible to happen? As highlighted in my recent write-up of the "ketone supplement [allegedly] boosts glycogen (re-)synthesis" study (read it), there's another very recent study on the effects of a ketone ester drink during recovery from exercise. The study comes from researchers from the KU Leuven in Belgium, the Swiss Federal Institute of Technology (ETH) and the University of Oxford - at least one of the authors, i.e. Kieran Clarke, does, therefore, have the same vested financial interest in a beneficial study outcome I've already mentioned in the discussion of the Holdsworth study. You know that, for me, that's not a reason to doubt the results of the study per se; the potential bias, however, is of particular importance when it comes to (a) study design and (b) conclusions the authors draw based on their results. Before we can say anything about methodological decisions that may sway the results into the desired direction, let alone the adequacy of the scientists' conclusion that their "results indicate that adding KE to a standard post-exercise recovery beverage enhances the post-exercise activation of mTORC1 but does not affect muscle glycogen resynthesis in young healthy volunteers," it should be obvious that we have to take a closer look at what Vandoorne et al. actually did. Table 1: Comparison of the carbohydrate and protein content of the test beverages (Vandoorne 2017). ... over the course of the 5-hour (h) recovery period. The scientists' subsequent analysis of blood samples, muscle biopsy samples yielded some interesting results: First of all, there was - as previously alluded to - no effect on glycogen storage. The lack of effect on glycogen storage, however, stands contrast to the visible difference in the post-workout glucose levels you can see in Figure 1. Figure 1: Effects of KE/PL supplement on serum glucose (left) and muscle glycogen (right) after the ingestion of a mix of CHO and PRO over 5h after glycogen-depleting exercise (Vandoorne 2017). If we thought this hypothesis through, it would also suggest that the glucose uptake and thus rate of glycogen replenishment should be augmented in the KE trial. Since this was not the case, we have to assume that the energy from the glucose went elsewhere: it may have replenished ATP, but that would have been the same in both groups. If it thus didn't end up being stored in muscle tissue, we have to assume that the energy was deposited elsewhere at the organ level - probably, first and foremost, in the liver, partly, however, also in other splanchnic organs and adipose tissue. "I don't care about glycogen. Tell me about 'em gainz!" Now that we have revisited the fact that the previously postulated beneficial effects on glycogen resynthesis (Holdsworth et al. 2017) didn't materialize in a real-world scenario, let's turn to the issue of potential increases in protein synthesis and muscle "gainz" - a potential benefit of which I bet that it would boost the sales of the University of Oxford's patented keto salts to a significantly greater extent than any increase in glycogen synthesis. Figure 2: Schematic representation of the study design (Vandoorne 2017) | Abbreviations: PL, placebo; KE, ketone ester; KE, ketone ester (R)-3-hydroxybutyl (R)-3- hydroxybutyrate; CHO, carbohydrate; PROT, protein. Arrows (↓) indicate ingestion of PL or KE. Negative time points indicate before exercise; positive time points indicate after exercise. Unfortunately, an acute-phase study, like the one at hand (see schematic representation of the study design in Figure 2) cannot measure actual muscle gains; what you can measure, are (a) increases in protein synthesis, which the scientists didn't do; and (b) the expression of proteins from the mTOR cascade, like S6K1 and 4E-41 BP1 - proteins that facilitate the accrual of protein in skeletal muscle. These signaling molecules in the mTOR-cascade were, as Vandoorne et al. point out, sign. more active in the KE trial, "as evidenced by the higher phosphorylation of its main downstream targets S6K1 and 4E-41 BP1" (Vandoorne 2017). And what's more, the authors were not just able to reproduce the mTOR-promoting effect of ketone esters in the petri dish, they were also able to confirm (thus in vitro) that the addition of the ketone salts to the dish doubled the protein synthetic response at the lower of two leucine concentrations in the medium (1.5 mM). 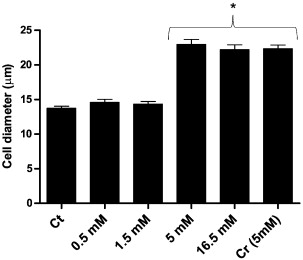 Figure 3: In vivo increase in the expression of the mTOR target protein S6K1 (left); in vitro response of myocytes to stimulation with leucine with and without keto salts (Vandoorne 2017). If you scrutinize the data on the right-hand side of Figure 3, however, you will realize that the authors did not - for whatever reason (shamed be who thinks evil of it) - measure the response to adding ketone salts at a higher concentration of leucine (5.0 mM) - a concentration which stimulated the protein synthesis in vitro to a greater degree than the combination of low dose leucine + ketone esters. I have been spending the last week looking through papers and asking people who are way more knowledgeable in this area about estimates of realistic physiological cellular leucine concentrations in response to protein supplementation. Unfortunately, I still haven't come up with a scientifically backed estimate... now, some of you may be asking themselves why this is important, right? Well, to say if it was negligence not to verify any potential benefit of additional ketone salts on the leucine-induced increase in protein synthesis at a higher leucine concentration (5mM), I would have to know if the lower concentration, i.e. 1.5mM of leucine, the muscle cells were exposed to in the study at hand must be considered low, normal or high from a physiological (real-world) standpoint. If we go by the dose-escalation study Areta et al. (2014) did in, 5mM is the threshold dosage to trigger an increase in cell diameter - 1.5mM would thus be a 'low dosage', unfortunately, the measured rates of protein synthesis (which didn't change at all in Areta et al.) are not consistent. I, therefore, hesitate to use this study as a yardstick for "high" vs. "low". If 1.5mM is a high cellular leucine concentration, i.e. a concentration that is equal or higher to the leucine level you would see in the postprandial period after a high dose of whey protein, there's no doubt that the study results would suggest that adding a ketone salt supplement to your regular post-workout supplement could, over time, add a few grams of extra muscle to your frame. If 1.5mM is a low cellular leucine concentration, however, i.e. if you could easily achieve cellular levels of 5mM leucine within the postprandial window after the ingestion of a protein shake, ketone salts would share the fate of supplements like phosphatidic acid and be a waste of time and money, because they wouldn't boost the rate of protein synthesis beyond the physiological maximum that was already achieved by the consumption of whey protein. Even if I knew the answer to this important question, though, the researchers' own conclusion that it is necessary to investigate in future studies, "[w]hether chronic oral KE intake during recovery from exercise can facilitate training-induced muscular adaptation and remodelling" (Vandoorne 2017) would still the only non-speculative conclusion I would subscribe to - at least, as far as potential effects on your gains are concerned. Leucine alone doesn't build muscle, anyway - a real yardstick is necessary! I mean, the dosing/leucine-concentration issue is only the most obvious of several important differences between the "in vitro" and the real world: exercise will likewise elevate mTOR and its downstream proteins, whey is not just leucine and we know for a fact that leucine alone won't produce increases in gains, yes not even increases in protein synthesis, although one can observe the same increases in regulatory proteins the authors observed in the study at hand (Glynn. 2010). So, what's the verdict then? Yes, the study at hand is much more interesting that the previously discussed study by Holdsworth et al. (2017). Yes, the study settles the issue of using ketone salts to augment glycogen resynthesis after "regular" physical activity (there may be extreme circumstances in one in a million athletes, where they could still be useful for this purpose). But NO, the study does not prove that adding ketone salts to your post-workout shake will facilitate extra gains. In fact, it does not even prove that doing so will increase protein synthesis in vivo and makes it thus impossible to tell if the urgently needed longitudinal follow-up study will show any, let alone statistically significant increases in skeletal muscle gains in, say, a 12-week period. Needless to say that I will keep an eye on potential follow-up studies and let you know on the SuppVersity Facebook and Twitter, as soon as new information is available | Comment! Areta, José L., et al. 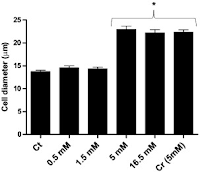 "Increasing leucine concentration stimulates mechanistic target of rapamycin signaling and cell growth in C2C12 skeletal muscle cells." 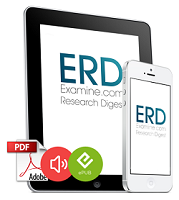 Nutrition research 34.11 (2014): 1000-1007. Glynn, Erin L., et al. "Excess leucine intake enhances muscle anabolic signaling but not net protein anabolism in young men and women." The Journal of nutrition 140.11 (2010): 1970-1976. Hardie, D. Grahame, and Kei Sakamoto. "AMPK: a key sensor of fuel and energy status in skeletal muscle." Physiology 21.1 (2006): 48-60. Holdsworth David A., et al. "A Ketone Ester Drink Increases Postexercise Muscle Glycogen Synthesis in Humans." Medicine & Science in Sports & Exercise (2017): Ahead or print. Zhang, Bei B., Gaochao Zhou, and Cai Li. "AMPK: an emerging drug target for diabetes and the metabolic syndrome." Cell metabolism 9.5 (2009): 407-416.